There are several ways you can donate to this community event to fight hunger and help our neighbors. You can make a donation online right now at (coming soon). You can attend the event for $15/adult or $10/child 12 and under. Pay at the door and enjoy a simple meal and a heartwarming time. 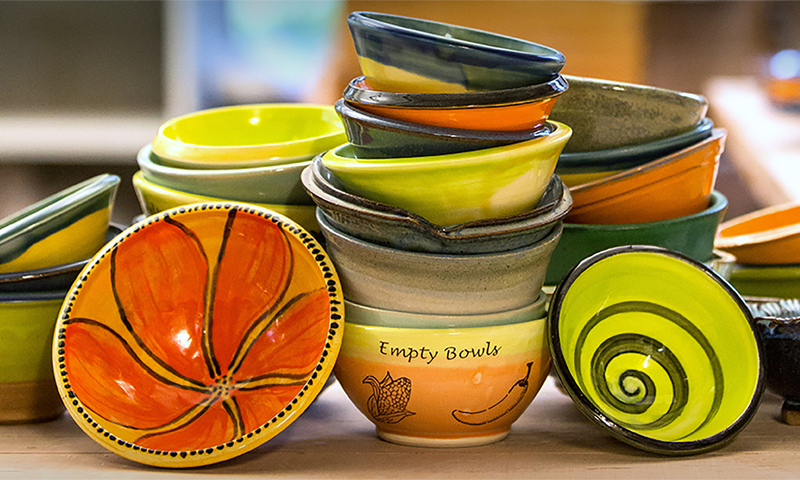 You can donate one or more handmade ceramic bowls for the event. Note that they must be food safe, including glazes. Your restaurant can donate soups for the event. Your bakery can donate bread and desserts for the event. You can become a sponsor, donating cash or in-kind donations for the event. (Note: We still need many things donated, including tables, chairs, and tablecloth rental, food, napkins, paper cups, spoons, small paper dessert plates, …) Contact us at Burton Bridge Ministry at (979) 704-6037 or Temple of Compassion at (512) 739-5162 for donation information.